"The truth is, we are all desperately in need of God’s healing and forgiveness. Though our sins may be more subtle, they are nonetheless grave for their hiddenness. Perhaps they are more grave since their subtlety convinces us that we are well. We are all sinners; there is no place for us to despise or condemn anyone but ourselves." Since the first days of his pontificate, Pope Francis has spoken repeatedly, passionately, about the mercy of God. 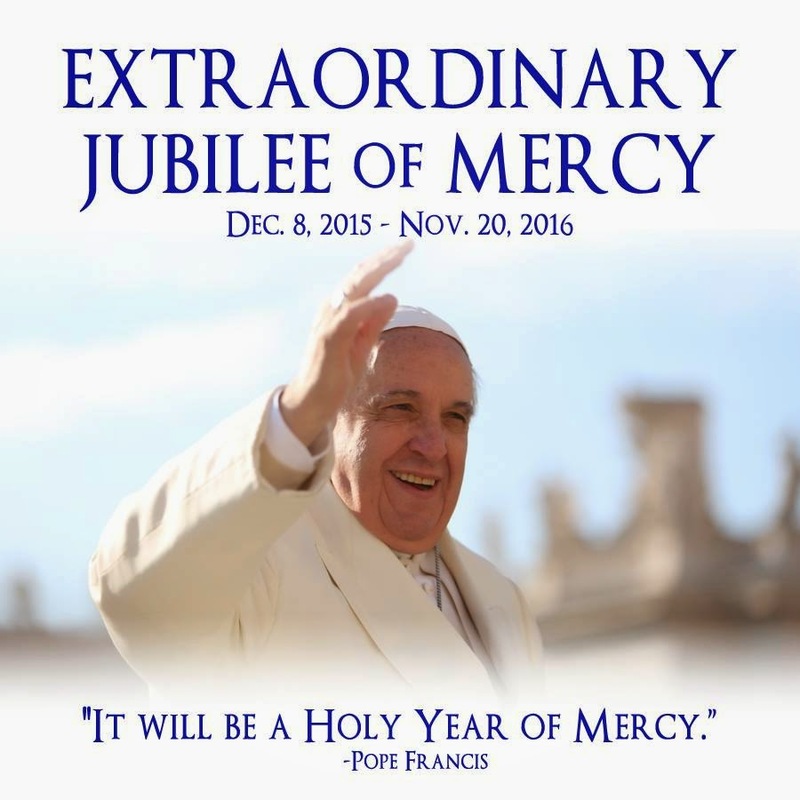 Now he has announced a Holy Year dedicated to the great gift of God’s mercy. Today this is our theme. Already we have heard that we are sent, in the footsteps of Jesus, to bring good news to the poor, to bind up hearts that are broken, to comfort those who mourn, who are despondent and have lost hope. We still have ringing in our ears the words of Jesus: ‘This text is being fulfilled today, even as you listen’. In the power of the Holy Spirit, they are fulfilled here and now. This is our commission. These oils are consecrated for the holiness of the world, for the holiness of every moment, from birth, through joy and sickness and unto death. Our whole ceremony this morning is best understood, not as the Church gathering to look to its own needs, but as coming to receive the strength and blessing of God so as to go out with God’s mercy to the world. What is it about the mercy of God that makes it so difficult for us to grasp? How often we sense a tension between the wonder of that mercy on the one hand and the justice of God on the other. But this is so only if we confuse the justice of God with our ideas of human justice – that every crime has its consequence, its punishment. That is not divine justice. Rather, the justice of God is the ‘well-being offered by God to His people’. It is our salvation. Our misunderstanding can arise when we are preoccupied with our sin, through guilt or fear, or when we focus mainly on the failure of others. Then we can start thinking of God’s justice in these human terms, as presenting the penalty that has to be paid. Then mercy can seem as somehow excusing us from the demands of this justice and as even being opposed to it. But God’s mercy is not like that. It is not a message of cheap grace. Rather God’s mercy is our opportunity for repentance, the invitation to start again. Mercy is ultimately grace for conversion, the ‘time’, the ‘space’ for healing, for new life. True justice and mercy are inseparable. God’s justice, His well-being for us all, flows from His mercy toward us and that mercy is the heart of God’s justice. God never withdraws these gifts of justice and mercy. His grace, flowing from the side of Christ, enables us to set out, again and again, on the pathway of true discipleship, humble, repentant, yet always joyful, knowing our daily need for mercy and accepting wholeheartedly the call of God’s justice to one another and, of course, to the Lord Himself. I was reminded of this, forcefully, a few days ago when visiting the new school of Our Lady and St Joseph in Poplar. A striking new crucifix hangs in the School Hall. It shows the Body of Jesus, adorned with beautiful leaves springing from the trunk of the tree, the Cross, on which He hangs. The words on the new foundation stone of the School give the explanation: they are an extract from these words from the Book of Revelation: ‘Then the angel showed me the river of life, rising from the throne of God … and flowing crystal clear down the middle of the city street. On either side of the river were the trees of life which bear twelve crops of fruit each year and the leaves of the tree are the cure for the nations’ (Rev. 22.1-2). It is to Him that we always come for healing. Our task is to bring others to the Cross of Jesus, to its healing leaves, to the mercy of God. In the Cross of Jesus we see the justice and mercy of God as one. Here, the sight of total loving obedience which is our well-being. Here, the full consequence of our sin is seen, the weight that falls upon us all whenever we ignore the justice of God, in our unfaithfulness, our callous treatment of each other, our greed, our gossip and our self-indulgence. Here, in the Cross, the full glory of God’s mercy is also revealed. Here we see God, out of love, constantly emptying Himself so as to take upon Himself all the burdens we heap upon each other and upon ourselves. Divine mercy frees us from those burdens and restores us, again and again, on our journey towards justice. Today we priests renew the promises first made at our ordination, remembering that, in a particular way, ours is a ministry of mercy. Through us the mercy of the Lord is to come to others, to those who are hurting and afraid. This is not easy. We need great prayer and encouragement. My dear people, we priests rely on your prayers and your love. We thank you wholeheartedly for all that you give. Without you we are lost. May I add here that your prayer is really needed at this time as the Church prepares for the next Synod of Bishops. It is wrong, in my view, to think or speak of this Synod as a battle, a battle between contesting sides. Battles have winners and losers. And often ‘collateral damage’ is the most tragic consequence of hostilities. No, this Synod is a time of prayerful discernment, discernment about how we are to bring the love, mercy and truth of God to all people in need, in so many different and difficult circumstances. So please do pray for the guidance of the Holy Spirit. 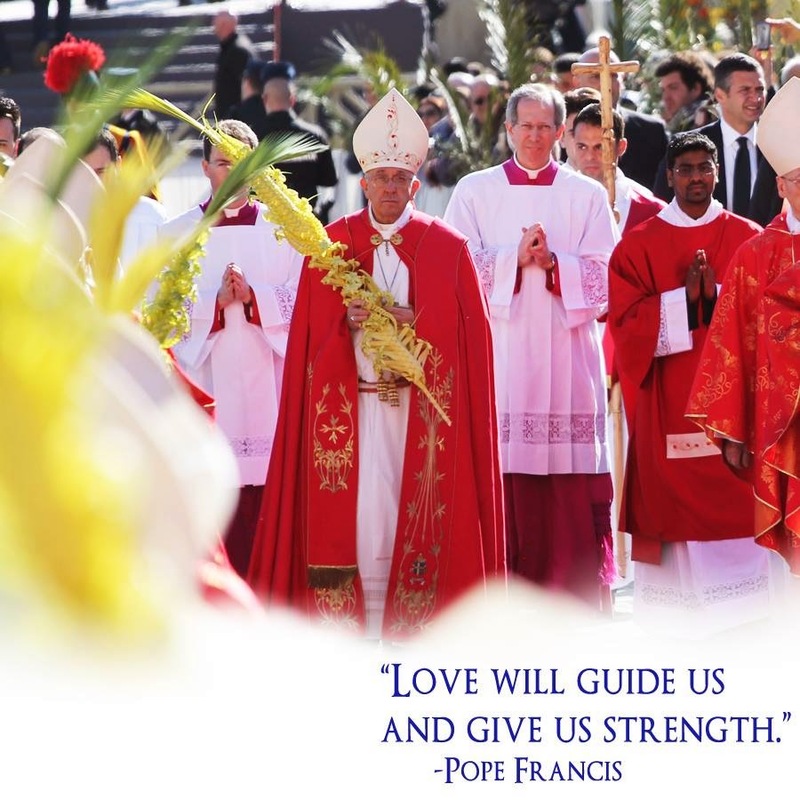 For our encouragement, today in a special way, we look to Pope Francis. He reminds us priests to be close to our people at all times. He tells us that we priests ‘need to accompany with mercy and patience the eventual stages of every person’s growth as these progressively occur.’ He says: ‘A small step, in the midst of great human limitations, can be more pleasing to God than a life which appears outwardly in order but moves through the day without confronting great difficulties.’ He says: ‘Everyone needs to be touched by the comfort and attraction of God’s saving love, which is mysteriously at work in each person, above and beyond their faults and failings’ (EVG 44-45). This is the pastoral love we seek to renew in ourselves today. Pope Francis tells us that this love is to be ‘creative’. He insists that it is ‘creative in finding the right words to speak to all those considered incurable and hence untouchable.’ Then he added, ‘Contact is the language of genuine communication, the same endearing language which brought healing to the leper. How many healings can we perform if only we learn this language of contact!’ (15/2/2015). Let us pray for this creativity! At ordination the hands of the priest are anointed. They are to be hands of healing, hands of mercy. They are to be hands of the language of contact. They are to be extended in gestures of welcome towards those who feel excluded. They are to support and encourage all who struggle in their journey. They are to be raised in the words of absolution in Confession and reach out with the oil of healing and consecration. 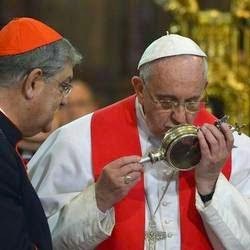 As Pope Francis has said: Unction, please, not function! Today we thank God for the great gift of his mercy, a mercy flowing from the Cross of Jesus, revealing the full meaning of His justice, His loving purposes which are always and only for our good and our happiness. May God guide and renew our Church this day that we may all be messengers of this mercy and heralds of this joy. Absolute thrilling book read for Lent. 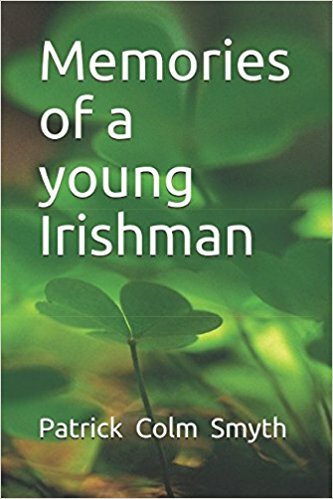 This book is the story of Fr Aedan McGrath, whose ordination into the Catholic priesthood in 1929, was the first step in an adventure that would take him half way around the world and back again. Through his involvement in The Legion of Mary, he was sent to China shortly after ordination to engage in missionary work. This would be his life for the next twenty years. He learned about the Chinese people, their proud culture and history, first hand. He also shared in their trials tribulations against the backdrop of civil war, Japanese invasion and World War. Christianity was first introduced to China by the Nestorians in 635 AD. They were followed by the Franciscans. In 1368 as the Ming Dynasty set out to abolish Christianity but in 1582 the Jesuits managed to re-introduce it. Later centuries built on the efforts of the Jesuits. By the 20th century, numerous orders of priests and nuns were running schools, hospitals and orphanages throughout the country. It was in this context that many Columbans set off for China and Aedan McGrath was one such priest. With the establishment of the People's Republic of China, in 1949, the Legion of Mary would ultimately become a proscribed organisation. Fr McGrath suffered because of his association and his activities on their behalf. He endured a period of imprisonment. Upon his release and return to Ireland, he was greeted upon arrival by President Sean T. O'Kelly, Taoiseach Eamon De Valera, John A. Costello among other dignataries. He spent the remaining 50 years of his life promoting the work of the Legion of Mary. 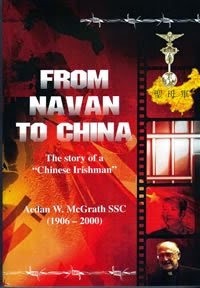 From Navan to China: the Story of a 'Chinese Irishman' by Fr Aedan McGrath. 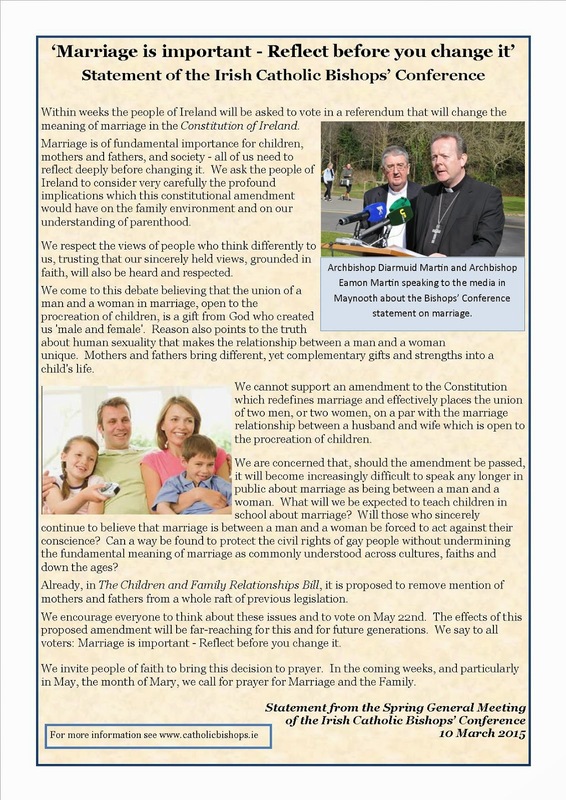 Compiled and edited by Fr Eamonn McCarthy and Michael Walsh. Non-fiction, biography/autobiography, historical. 325 pages with black and white photo illustrations. 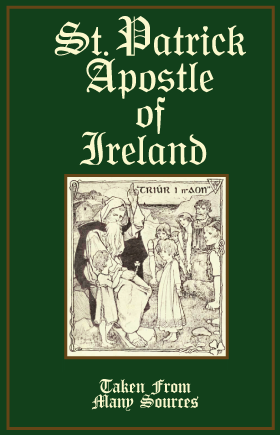 First published in Ireland in 2008. At the heart of this celebration, which seems so festive, are the words we heard in the hymn of the Letter to the Philippians: “He humbled himself” (2:8). Jesus’ humiliation. These words show us God’s way and the way of Christians: it is humility. A way which constantly amazes and disturbs us: we will never get used to a humble God! We will feel the contempt of the leaders of his people and their attempts to trip him up. We will be there at the betrayal of Judas, one of the Twelve, who will sell him for thirty pieces of silver. We will see the Lord arrested and carried off like a criminal; abandoned by his disciples, dragged before the Sanhedrin, condemned to death, beaten and insulted. We will hear Peter, the “rock” among the disciples, deny him three times. We will hear the shouts of the crowd, egged on by their leaders, who demand that Barrabas be freed and Jesus crucified. We will see him mocked by the soldiers, robed in purple and crowned with thorns. And then, as he makes his sorrowful way beneath the cross, we will hear the jeering of the people and their leaders, who scoff at his being King and Son of God. This is God’s way, the way of humility. It is the way of Jesus; there is no other. And there can be no humility without humiliation. Following this path to the full, the Son of God took on the “form of a slave” (cf. Phil 2:7). In the end, humility means service. It means making room for God by stripping oneself, “emptying oneself,” as Scripture says (v. 7). This is the greatest humiliation of all. We think too of the humiliation endured by all those who, for their lives of fidelity to the Gospel, encounter discrimination and pay a personal price. We think too of our brothers and sisters who are persecuted because they are Christians, the martyrs of our own time. They refuse to deny Jesus and they endure insult and injury with dignity. They follow him on his way. We can speak of a “cloud of witnesses” (cf. Heb 12:1). Let us set about with determination along this same path, with immense love for him, our Lord and Saviour. Love will guide us and give us strength. For where he is, we too shall be (cf. Jn 12:26). Amen. 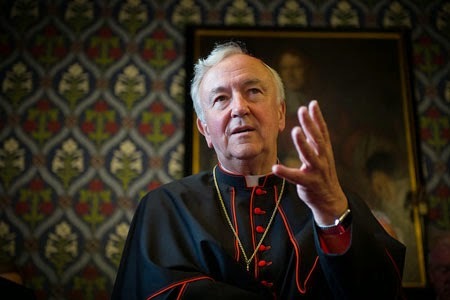 "In a world where everyone with a cause seeks to use social media to gain adherents, the cardinal might have anticipated that priests worried about the synod, and more generally about Pope Francis, would resort to the media. After all, priests, like others drawn to radical movements, often feel rather unempowered, and may excitedly jump on any bandwagon that promises them a taste of real influence." Priests, never losing sight of the fullness of the priesthood which the bishops enjoy, must respect in them the authority of Christ, the Supreme Shepherd. 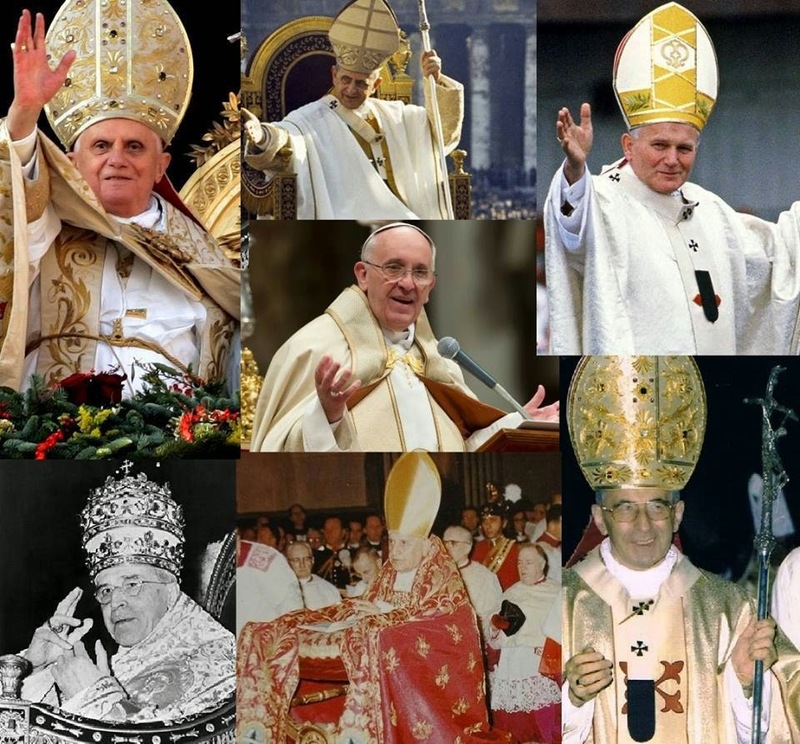 They must therefore stand by their bishops in sincere charity and obedience. This priestly obedience, imbued with a spirit of cooperation is based on the very sharing in the episcopal ministry which is conferred on priests both through the Sacrament of Orders and the canonical mission. (Presbyterorum Ordinis, no. 7). It is dark, it is late, nobody is around, nobody except Nicodemus. He has heard and seen the remarkable things that Jesus is doing. Concerned that his friends might see him, yet unable to stay away Nicodemus comes; “How could anyone do what this Jesus does unless God has sent him”, he says to himself. “I’m not religious”, “Catholics? Oh no sure they’re behind the times”, “look at the priests, no sign of poverty there”, “I suppose you could say that I am spiritual”…. How quickly the Gospel has been abandoned, how quickly God’s teaching has been ridiculed, how often the faults and failings of priests have been used as the excuse to wipe out the eternal message of Christ. Where is Christ? Where are the Sacraments? Where are the commandments of God in my home? Do I, like Nicodemus, come secretly and silently to Church? 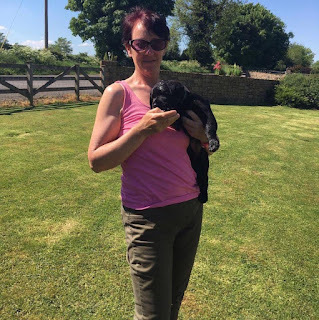 Do I keep my beliefs hidden, or do I come half-heartedly, coming but with the same old criticisms and negativity of those who don’t come at all? Still, I come. What is the attraction of this Jesus for me? What keeps me coming? Perhaps, at least, by just coming my Faith might be strengthened and like Nicodemus Jesus’ love for me and my somewhat half-hearted desire to love him will help me and mine to be, someday, his loyal followers. "Marriage is important - Reflect before you change it"
Worldliness darkens the soul and makes us unable to see the poor living beside us, with all their hardships. Commenting on the Gospel story of the rich man who goes to hell, “there are two judgements,” the Pope said. “a curse for the man who trusts in the world and a blessing for those who trust in the Lord.” The rich man turns his heart away from God, “his soul is empty,” a “salt and desolate land,” for, “the worldly, truth be told, are alone with their selfishness”. The worldly have “a heart that is sick, so attached to this worldly way of life that it could only be healed with great difficulty.” The Pope underlined that, while the poor man had a name, Lazarus, the rich man in the account does not. “[The rich man] had no name, because the worldly lose their name. They are just one of the crowd affluent, who do not need anything. The worldly lose their name.” These were Francis’ words at this morning’s mass in St. Martha’s House, Vatican Radio reports. The Lenten Season he added, is the perfect time for Christians to ask God for forgiveness and mercy. "We are all masters, professors of self-justification: ‘No it wasn’t me, it’s not my fault, maybe yes, but not so much…that’s not the way it is…’. We all have an alibi to explain away our shortcomings, our sins, and we are often to put on a face that says "I do not know," a face that says ‘I didn’t do it, maybe someone else did’ an innocent face. This is no way to lead a Christian life”. "It’s easier to blame others" - observed the Pope - but "something strange happens if we try to behave differently: "If we begin to look at the things we are capable of doing, at first we "feel bad, we feel disgust ", yet this in turn "gives us peace and makes us healthy”. Pope Francis continued, "when I feel envy in my heart and I know that this envy is capable of speaking ill of others and morally assassinating them”, this is "the wisdom of judging oneself”. "If we do not learn this first step in life, we will never, never be able to take other steps on the road of our Christian life, of our spiritual life". "The first step is to judge ourselves. Without saying anything out loud. Between you and your conscience. Walking down the street, I pass by a prison and say: "Well, they deserve it" - "Yet do you know that if it weren’t for the grace of God you would be there? Did you ever think that you are capable of doing the things that they have done, even worse?” This is what judging yourself means, not hiding from the roots of sin that are in all of us, the many things we are capable of doing, even if we cannot seen them”.